Successfully Added Unisex Elastic Metal Skeleton Linked Hand Chains Halloween Punk Style Bracelet Ornaments to your Shopping Cart. Wear-resistant alloy, nontoxic, anti-allergy and rustless. 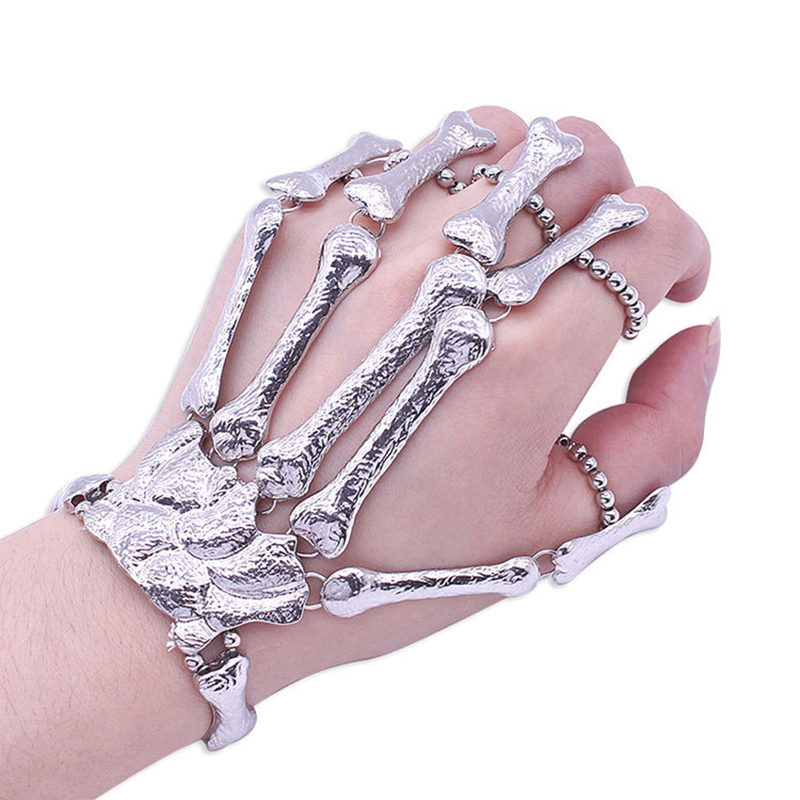 Unique Punk Style Bracelet with fine workmanship, and the Skeleton Linked, looks cool and different. Advanced treatment+elastic design making the Hand Chains is suitable for most people. Suitable for birthday, festival gift, perfect for daily and wedding wear.